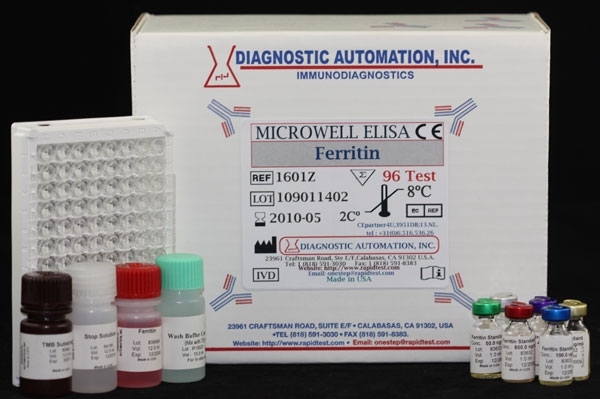 Diagnostic Automation, Inc. sTfR-Soluble Transferrin Soluble Receptor ELISA kit is used for quantitative determination of sTfR concentration in human serum or plasma by a microplate enzyme immunoassay. Soluble Transferrin Receptor (sTfR) ELISA kits have been introduced as a promising new diagnostic tool for differentiating between iron deficiency anemia (IDA) and anemia of chronic disease (ACD). The circulating sTfR concentration is proportional to cellular expression of the membrane-associated TfR and increases with increased cellular iron needs and cellular proliferation. Furthermore, because serum ferretin reflects the storage iron compartment and sTfR reflects the functional iron compartment, the sTfR/log ferritin index (sTfR-F-index), based on these two values, has been suggested as a good estimate of body iron compared with the sTfR/ferrin ratio. Distinguishing between IDA and ACD is a key step for determining whether iron supplementation would be beneficial. 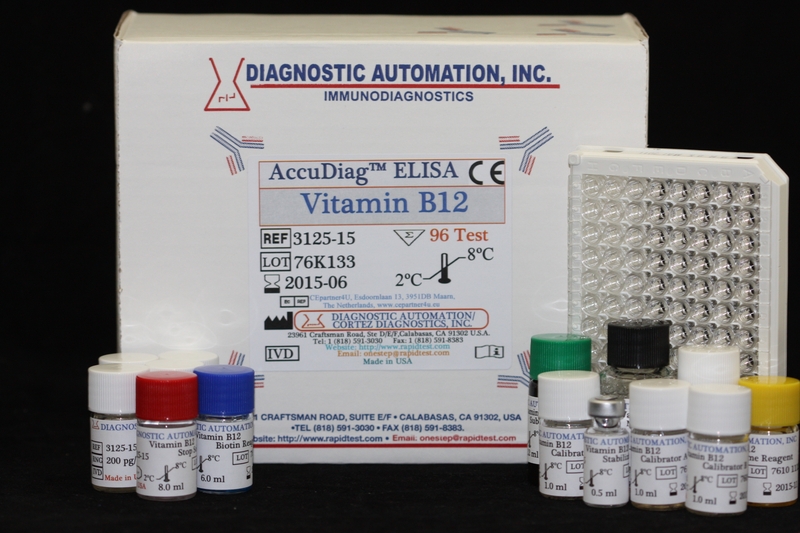 At the Diagnostic Automation Inc, our Soluble sTfR ELISA kits have been used as a tool for differentiating between iron deficiency anemia (IDA) and anemia of chronic disease (ACD). The DAI essential reagents required for an immunoenzymometric assay include high affinity and specificity antibodies (enzyme and immobilized), with different and distinct epitope recongnition, in excess, and native antigen. In this procedure, the immobilization takes place during the assay at the surface of a microplate well through the interaction of streptavidin coated on the well and exogenously added biotinylated monoclonal anti-sTfR antibody. sTfR ELISA test kit is a promising new diagnostic tool for differentiating between iron deficiency anemia (IDA) and anemia of chronic disease (ACD).